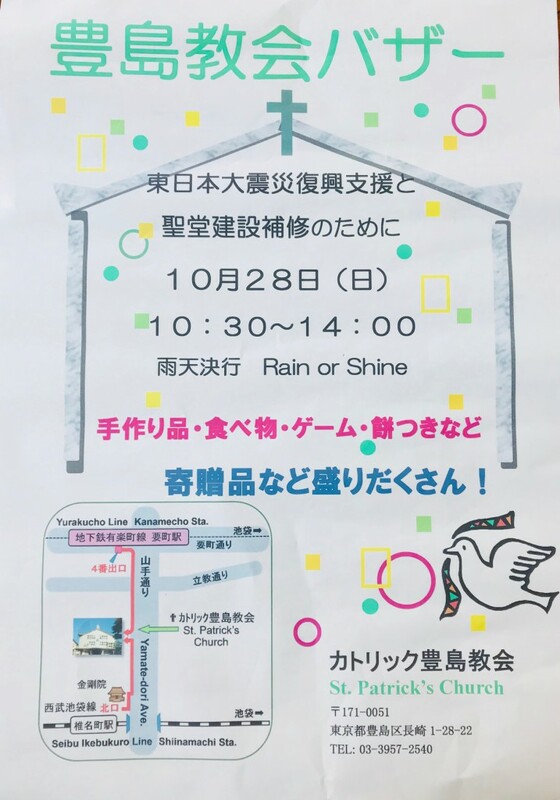 COME, ENJOY yourself and pick up some holiday decorations and Christmas gifts! 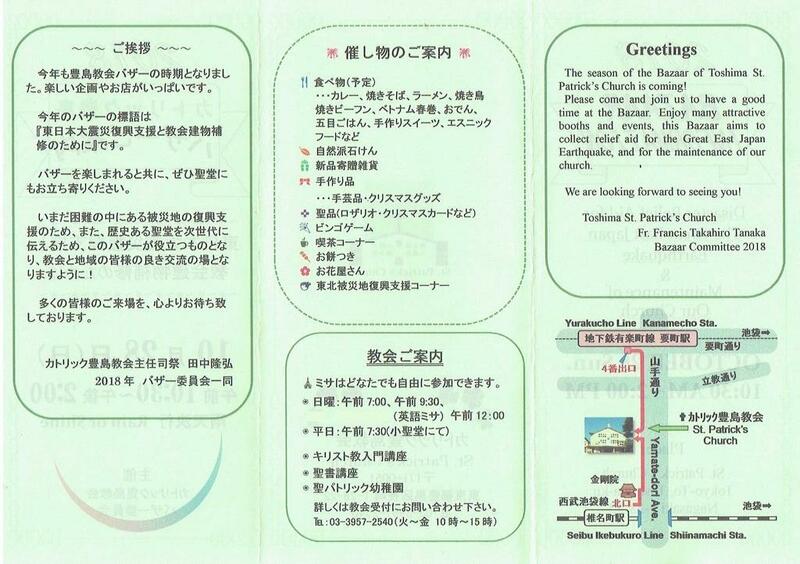 It Will be a fun day at Catholic Toshima Church or St. Patrick’s church, Tokyo. Admission is free and open to everyone! Copyright © St.Patrick Catholic Church. All Rights Reserved.